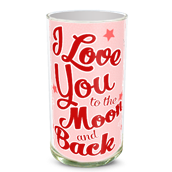 Go over the top with a romantic gift that is sure to please the one you love. 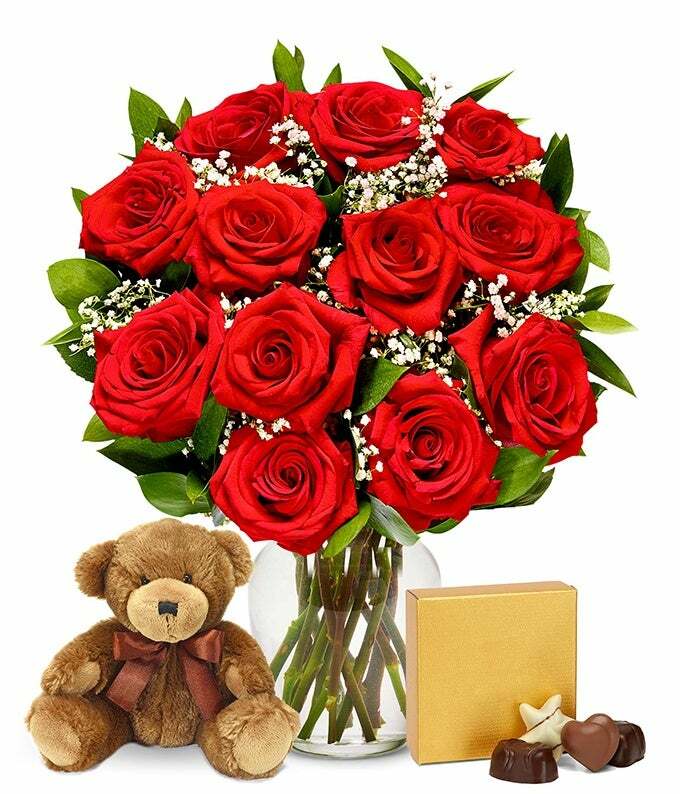 The One Dozen Long Stemmed Red Rose bouquet is delivered with an adorable plush teddy bear and box of four Godiva chocolates. Why just send roses when you can make the gift extra special by adding on a teddy bear and chocolates, for a complete floral gift package. 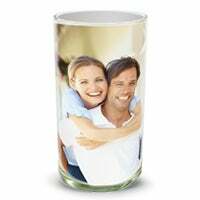 We invite you to customize your gift by choosing an I Love You vase, or by creating a custom photo vase to be delivered with the rose bouquet. Don't wait!